Following the traditions of our ancestors who navigated the Pacific by Waka. USO Bike Ride will navigate the length of New Zealand-Aotearoa again by bike-Our waka on wheels!. 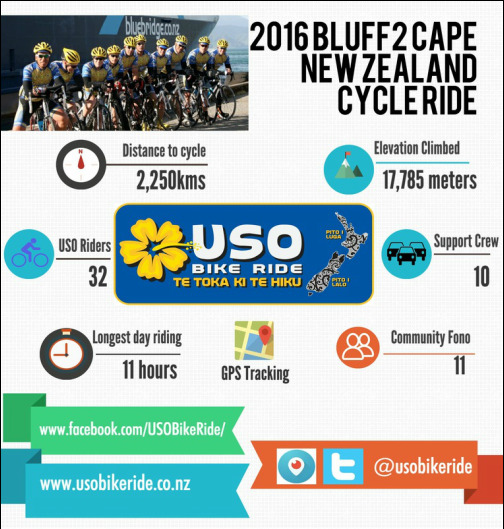 ​On 11th February USO Bike Ride will start their journey from Bluff in the South Island - Te Waipounamu. A team of 18 Polynesian cyclists and 8 support crew will start their epic cycle journey towards Cape Reinga. A distance of 2000+ kilometers. When they reach Wellington- Te Whanganui a Tara or Poneke, a group of 14 USO Bike Rider's and 2 support crew will join the team for the journey through the North Island- Te Ika A Maui. We are targeting Polynesian- Pacific and Maori families yet the message applies to everyone. This is not a fundraiser. Along the way team we will share stories, and meet with communities. Our stories will give an insight about health journeys that many of you will know and can relate to. The ride itself will be tough-we expect hot windy and testing conditions but we are ready to undertake this ride. The team has been building over a period of time developing our safety plans, improving riding and group riding skills as well as fitness through Commutacating. Connect with USO at fono, tune in to a radio interview on Niu FM, follow us through GPS tracking, our Facebook page. Periscope or webpage. 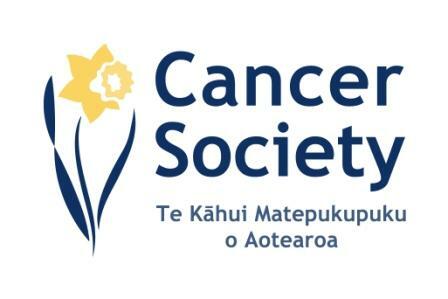 In completing this ride it will be the first time a Polynesian group has cycled the length of New Zealand-Aotearoa both ways to spread the message of cancer awareness. The backbone of health and wellbeing through cycling is Commutacating-Cycling as transport. Many of the riders ride to and from work 3-4 times a week. Longer rides on the week ends helps to build a base for rides like the Bluff2Cape ride or annual funrides. The beauty is that once the event has been completed riders return to their routines- Commutacating: cycling to and from work. 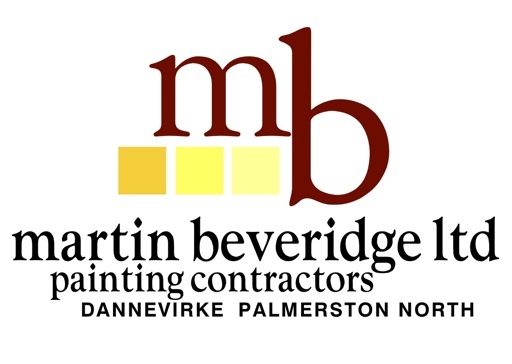 For safety and logistical purposes any person wanting to participate in any part of the NZ route with the team (excluding the pre arranged community ride in Flaxmere and Mangere) MUST first complete the - attached link which will be forwarded for approval from our NZride director and/or our safety director. The ride is not a fundraiser. We encourage families to use their money for a health check or medicinal costs. We do appreciate that there are groups and individuals who will still want to support us through a donation towards costs, be it petrol, food etc. In this case. Please CONTACT USO for details to do so.